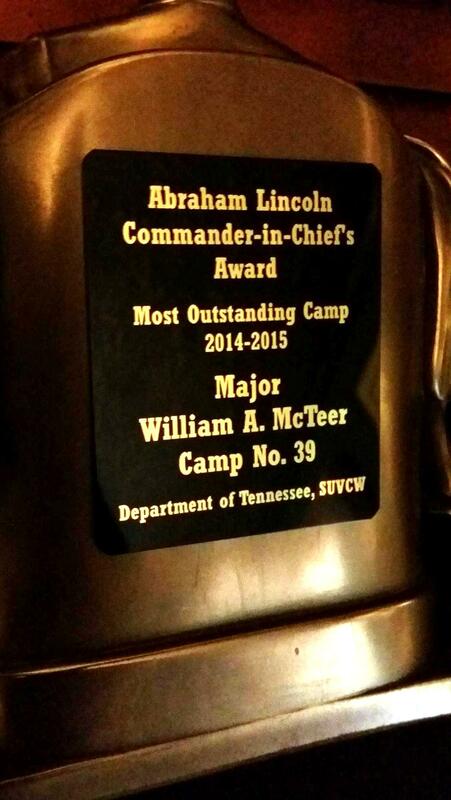 Winner of the 2014 – 2015 Abraham Lincoln Commander-in-Chief’s Award as the Most Outstanding Camp in the SUVCW! Come join us! Have fun! 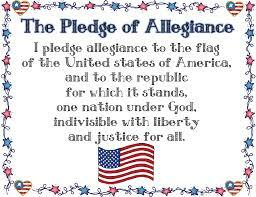 Learn some history too! The Major William A. McTeer Camp No. 39, Department of Tennessee, Sons of Union Veterans of the Civil War was chartered by the National Organization of the SUVCW in 2009 and operates as a not-for-profit unincorporated association in accordance with the laws of the State of Tennessee and camp bylaws first adopted on 11 December 2011 (see the Governance Page of this website). 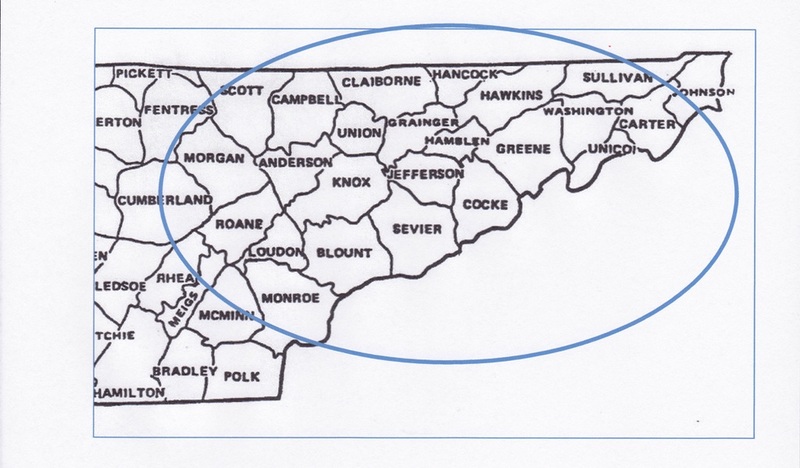 While based in Maryville, Tennessee, the camp serves a broad geographical area which includes not only the greater Knoxville metropolitan area but also stretches from Athens and Sweetwater in the south to the Tri-Cities area in the north. The camp meets monthly for “Camp Mess”, a “dutch treat” luncheon meeting held the second Tuesday of each month at 12:30 PM. Currently, these meetings are held at Calhoun’s on the Creek Restaurant in Maryville, Tennessee. These meetings are for the purpose of planning the camp’s activities and to promote fraternity within our camp. The camp also meets three times per year (March, June and September) for a more formal meeting that includes an educational presentation, initiation of new members and reports on camp business. Once per year the camp meets in Annual Encampment, usually in November. At this meeting, there is a review of the year and election of officers. The camp newsletter, “McTeer’s Loyal Mountaineers”, is published monthly and distributed electronically to the membership and other interested parties. Printed copies are available upon request. On this website, one may access current and back issues of the newsletter for their reading pleasure under the tab CAMP NEWSLETTERS. 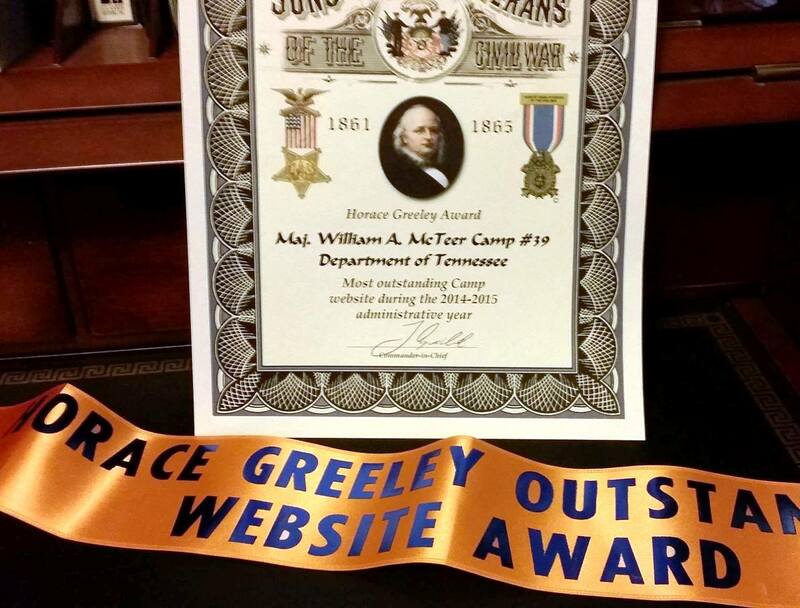 Our camp website, http://www.mcteer39.org, was honored to receive the 2014-2015 Horace Greeley Award as the most outstanding camp website in the SUVCW. Also, we were honored to received the 2017-2018 Department of Tennessee Award for the Best Use of the Internet and Social Media. And, the next year we received the 2018-2019 Department of Tennessee Award for Most Outstanding Newsletter. We try to keep our website current and continuously improve it within our budget. We welcome your comments on what we might do to make it even better. 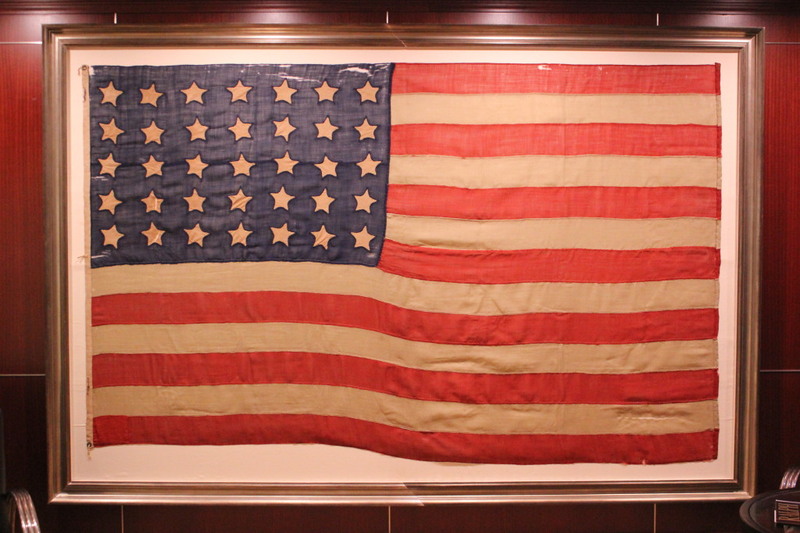 The purpose of the camp is to preserve the memory of the Grand Army of the Republic and our ancestors who fought to preserve the Union during the American Civil War (1861-1865). 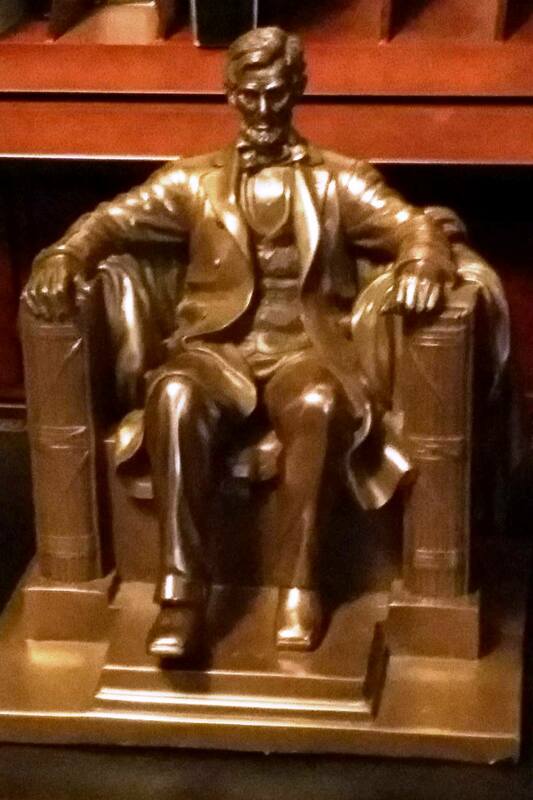 Activities include educational presentations, living history events, gravestone dedications, preserving important memorials and learning and promoting an accurate history and portrayal of the actions and sacrifices made to preserve the Union. The camp presents a certificate and medal to outstanding cadets in the Junior Air Force ROTC programs at both Heritage High School and William Blount High School in Blount County, Tennessee. The SUVCW defines a deserving cadet as one that “shows a high degree of patriotism to his/her nation and has demonstrated a high degree of academic performance and leadership”. The camp also seeks to reward young men who achieve the status of Eagle Scout with a special congratulatory letter, color Certificate of Commendation, suitable for framing, and a beautiful patch to wear as appropriate on the scouting uniform. While we encourage any young man searching for that special community service project to look to us for inspiration on projects relating to the Civil War, we offer this certificate with no “strings attached” other than you must have attained the rank of Eagle Scout.